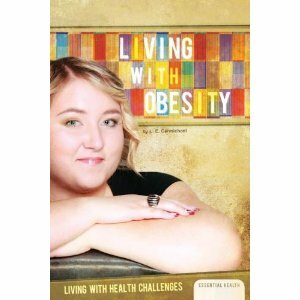 Part of the Living With Health Challenges series for teens, Living With Obesity is part cutting-edge science and part self-help. The main audience is teens dealing with obesity, but members of their support networks and people interested in learning about the causes and consequences of obesity will also find this book helpful. When I was in graduate school, I was on a medication that caused me to gain 30 pounds in about 6 months. Having to lose that weight gave me a tiny bit of insight into what teens with obesity go through, and helped me find the right approach to this very challenging topic. Before it could be published, this book had to be reviewed by a neuroscientist who specializes in childhood obesity. At one point in the manuscript, she wrote “cool!” because I’d found an interesting study she’d never heard of. I was a very proud author that day. While researching, I read a lot of studies on historical and current weight stigma in western culture. I hope that readers will become more aware of their personal and cultural attitudes towards body weight as a result of this book.